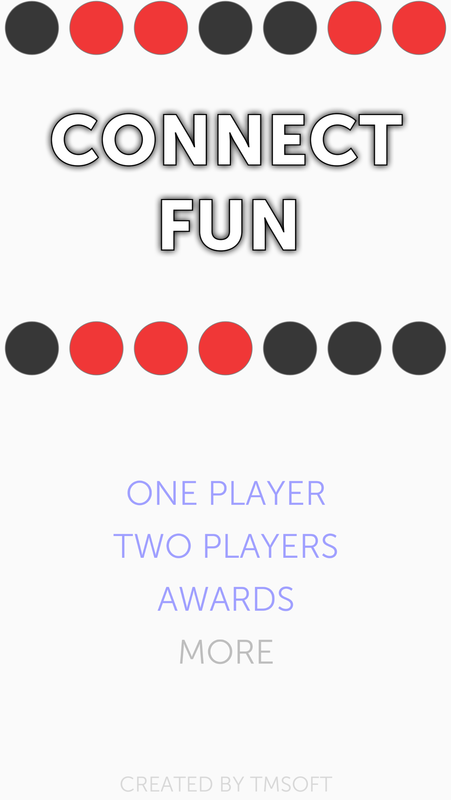 Connect Fun is the classic two-player game of four in a row but with a modern look. Two players take turns dropping their color checkers into one of the slots at the top of the board. Win the game by getting 4 or more of your color checkers either vertically, horizontally, or diagonally. Connect Fun includes both two player hot seat mode or play against our computer player. The computer player has multiple difficulty levels from easy to expert which makes it perfect for all ages. One or Two Players – Play against a friend or the computer. Multiple Rounds – Win 3 rounds to win the game. Total rounds needed to win is configurable in the settings. Computer Difficulty – Play against computer with Easy, Medium, Hard, Pro, and Expert difficulty. 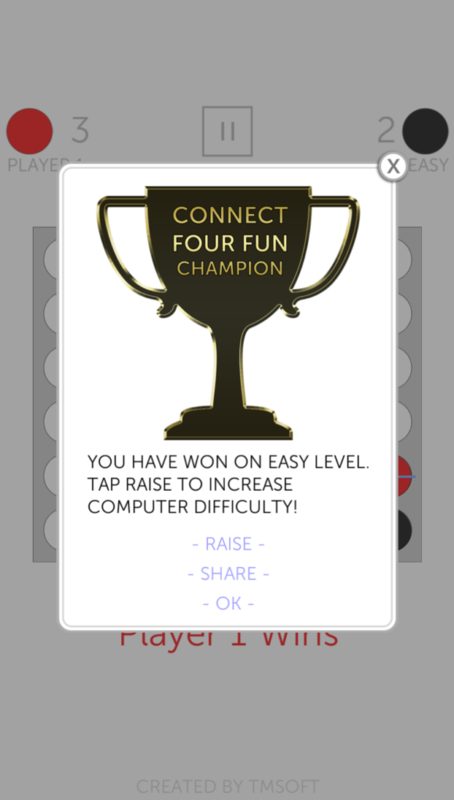 Game Center Achievements – Collect all 5 by beating the computer player on each difficulty level. Statistics View – Displays game stats and awards. Multiple Themes – Switch the color scheme to Modern, Classic, Night, Retro, and Hot. We hope you enjoy playing Connect Fun with friends and family. 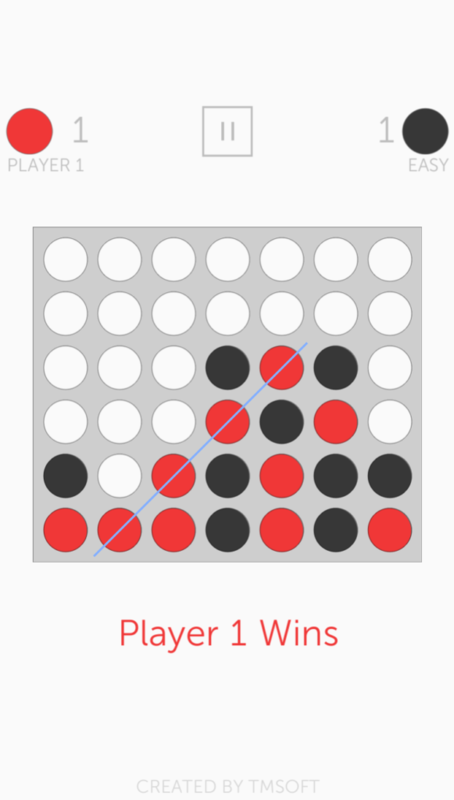 Connect Fun is also known as Captain’s Mistress, Four Up, Plot Four, Find Four, Fourplay, Four in a Row, Connect Four, and Four in a Line. Problem? In the app please tap MORE and then FEEDBACK to talk directly to our team.